We are back to our usual business this time around and back to Vietnam with a little detour into the Korean War along the way as Martini and Daniels find a soldier’s diary and we see his life in the army as told over the course of nearly 20 years. 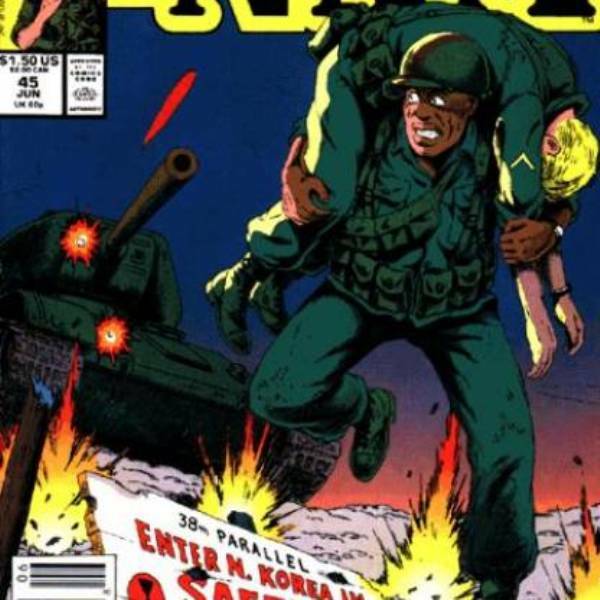 It’s The ‘Nam #45, “Looking Out for Number One” by Doug Murray, Wayne Vansant and Tony DeZuniga. As always, in addition to the summary and review of the issue I’ll be taking a look at the historical context, letters and ads. Plus, I have a special announcement concerning the show’s format as well as listener feedback!